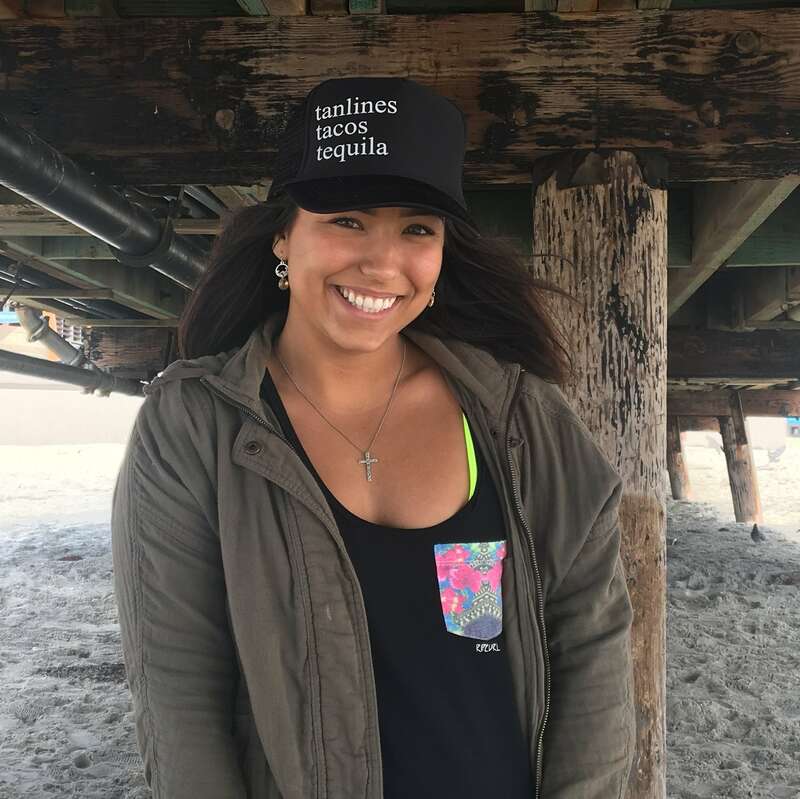 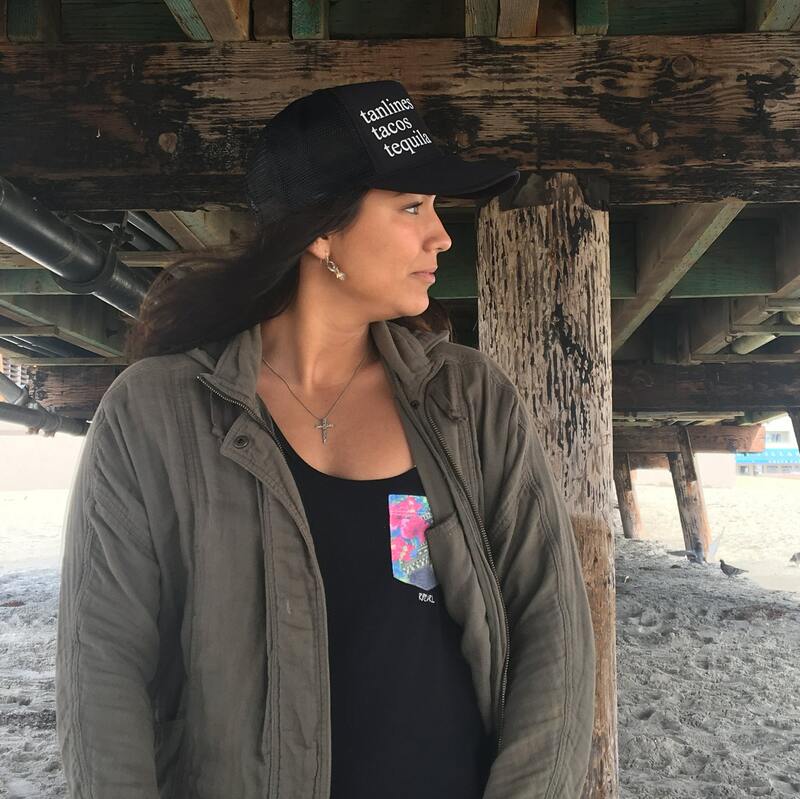 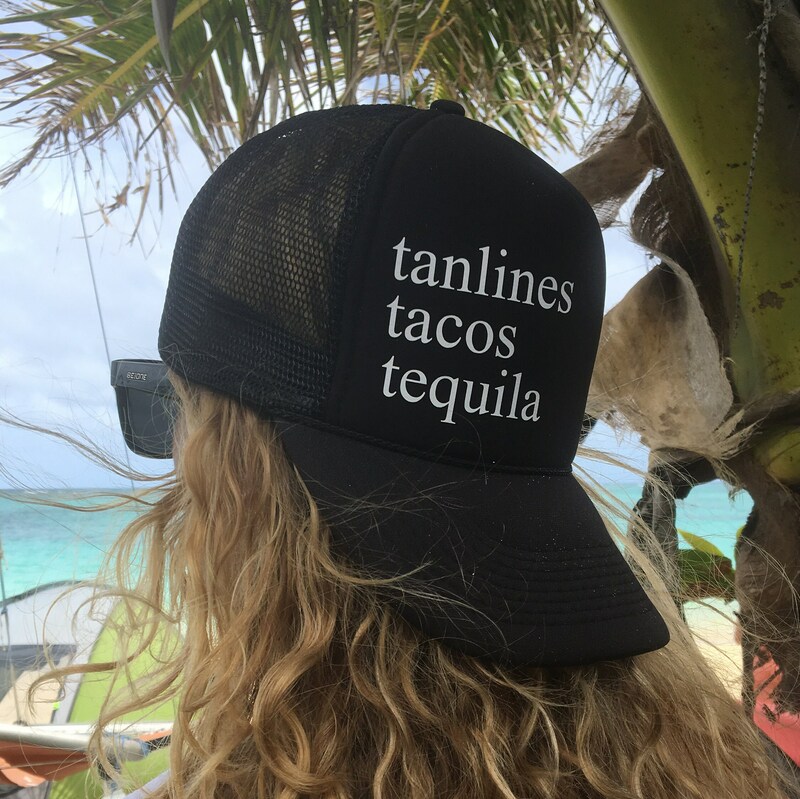 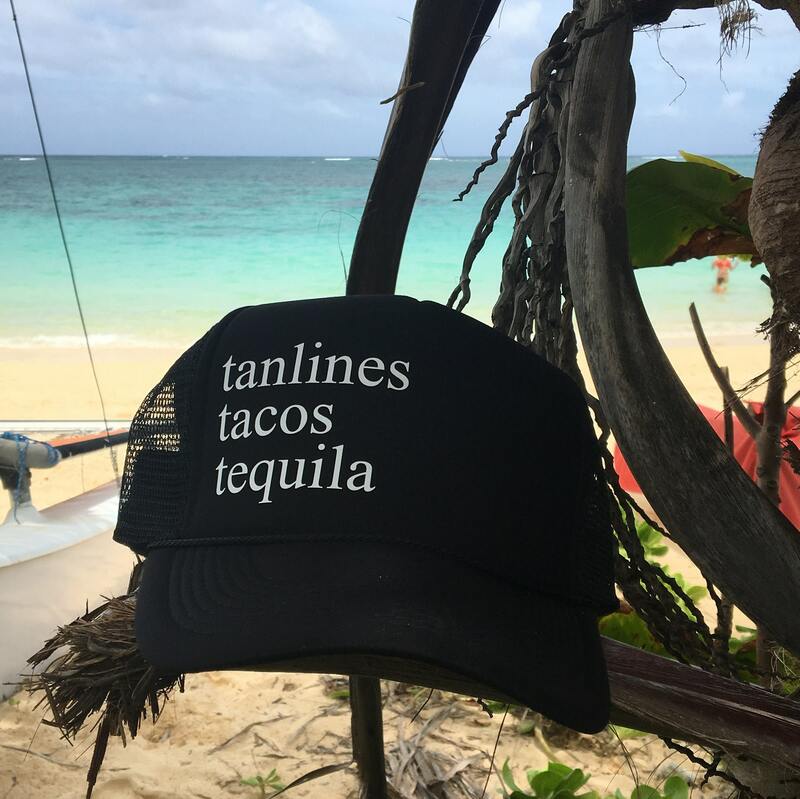 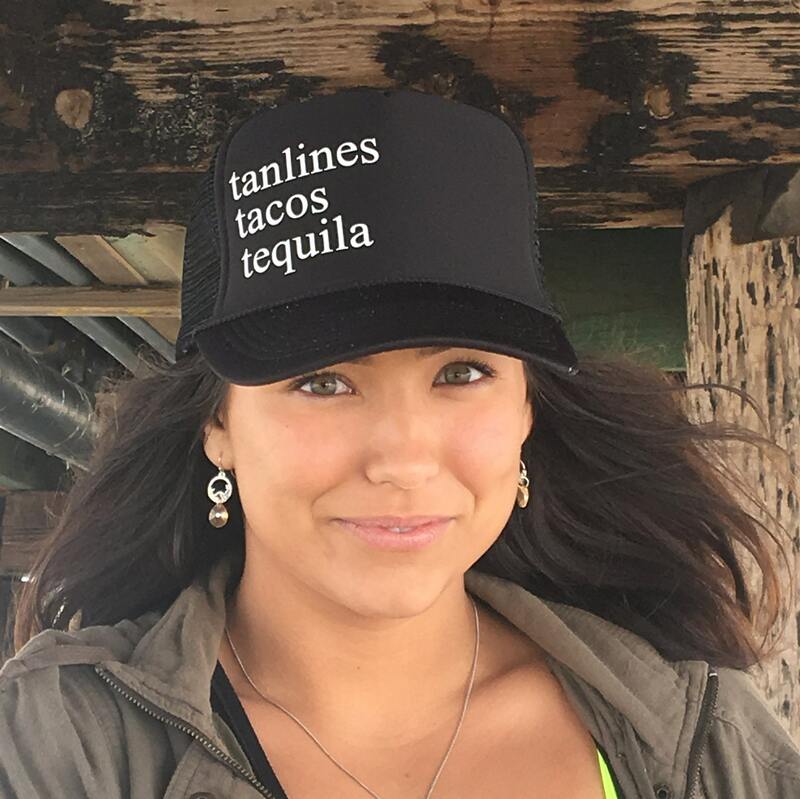 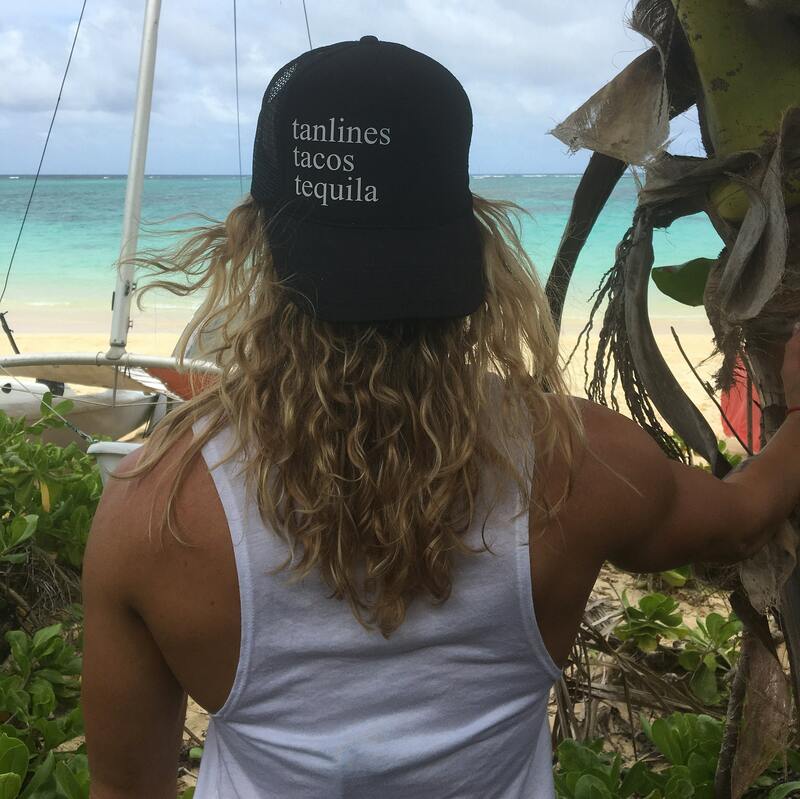 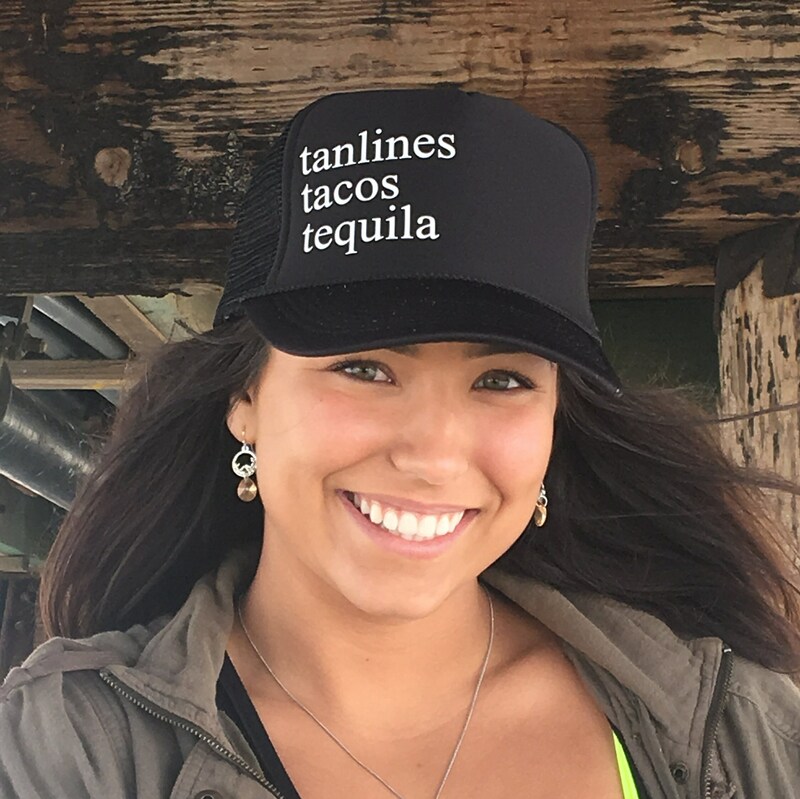 Tanlines Tacos Tequila Black Trucker Foam Trucker Hat. 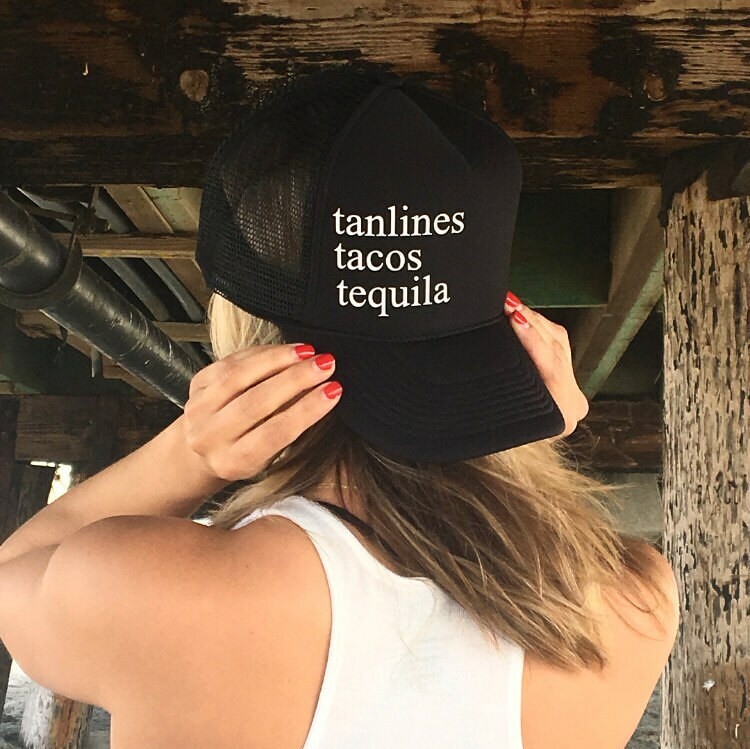 Tanlines tacos tequila is calling. 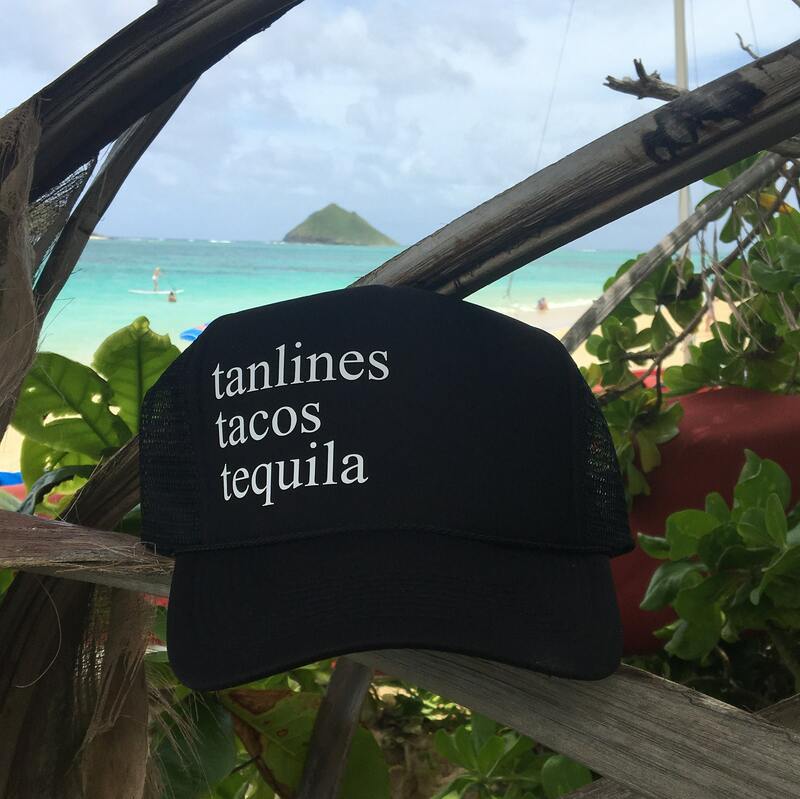 Pack your bags and bring this hat along.